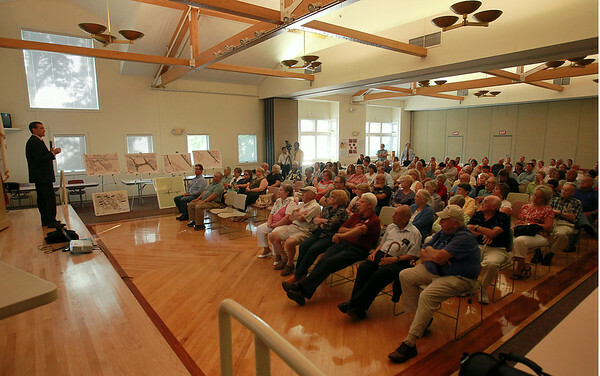 A packed house at the Beverly Senior Center listen to Mayor Mike Cahill, left, at the start of a meeting to discuss the current design for the new connector road between Sohier and Brimbal Avenues on Thursday evening. DAVID LE/Staff photo. 7/24/14.